Albedo are a Poland based company that go to great lengths (excuse the pun) with their cables’ manufacture. This goes all the way back to smelting the metals and drawing their own conductors. Dominic Marsh listens to their Monolith Reference Speaker and Interconnect cables to see if is all worth their effort. 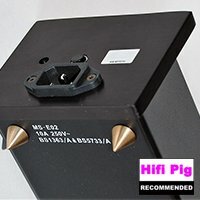 Albedo have been making audiophile interconnects for over 20 years now and I say too few people have heard of the brand which I think is a great shame. That is partly due to being manufactured in Poland and distributed by a global dealer network. 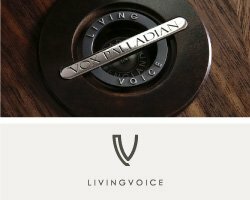 There is very little that is radical in their designs with the exception of some unique conductor geometry, however they do use only the finest materials available and pay particular attention to construction. Albedo smelt all of their own metals, draw their own conductors through specialised dies and build everything in house, so they could never be accused of buying reels of generic wire and repackaging as their own. 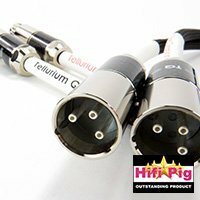 Hifi Pig reviewed an earlier version of the Albedo Monolith cables back in 2012 and this set of cables reviewed here are evolved and updated models, plus I have owned a pair of Flat Gold interconnects in the past myself and as I recall I was very pleased indeed with their sound characteristics. 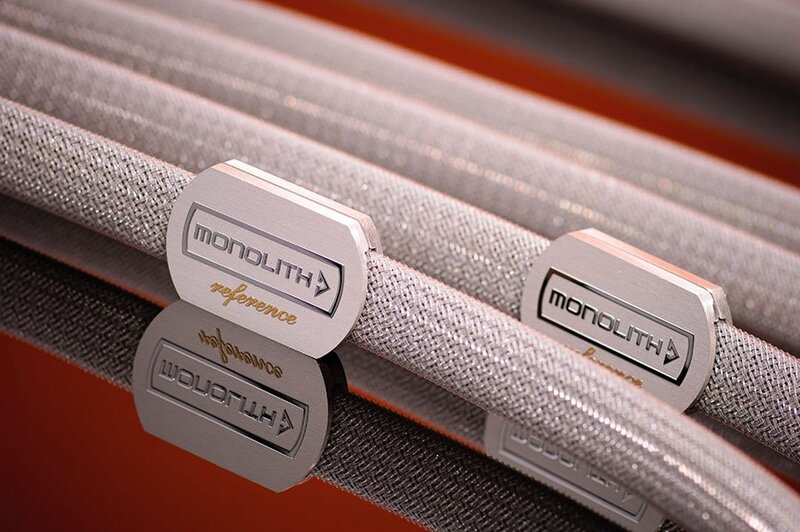 Both the interconnects and the speaker cables use very high purity soft annealed monocrystal silver in their conductors, in this case forged and fastidiously manufactured by Albedo themselves into very thin ribbons and separated by using air as a dielectric with antistatic materials added. If you have the perception that “silver cables are bright sounding” then that couldn’t be farther away from the truth. The only “silver” cables I have heard with a tendency towards brightness have been silver plated, poor quality silver wire (as in recycled), or hard annealed silver wire. All the connectors are manufactured by Albedo themselves to their own specifications and are of very good quality, all fitting snugly into their respective sockets. The notable difference between the Reference model over the previous incarnations is that they are now built as individual cables rather than being coupled pairs. The outer sheath is an expandable nylon braid in a pale silver/grey colour, with plastic attachments named with “Albedo Reference”. 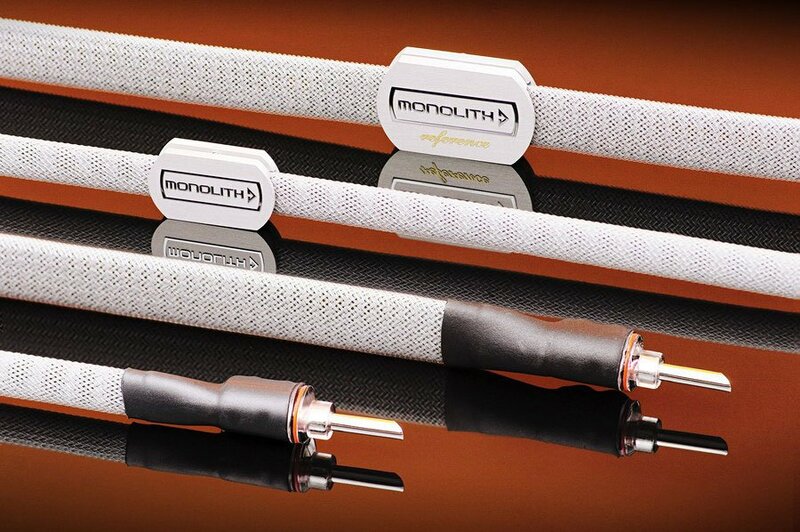 Speaker cable priced at 2450 Euros for a 2 metre pair whilst the balanced XLR interconnects are priced at 1950 Euros for a 1 metre pair. 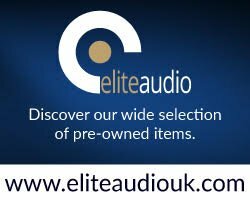 I don’t need to be told that the Albedo Reference cables are made from soft annealed pure silver wire, as their sound characteristics told me what they are made from – soft annealed high purity silver. Treble had a sweet delicacy about it without any fizz or harshness and the bass is as fulsome and insightful as you could wish for. Treble errs a tad on the side of warmth if we are to be honest about it, but nevertheless these cables are truly excellent at reproducing both macro and micro dynamics. So, to translate these observed sonic snippets into some music some of you might be familiar with, I put Supertramp’s Crisis, What Crisis? in the CD drawer and pressed play to hear my favourite track on the album, ‘Lady’. This track has raw edges to it that comes straight at you in a direct way, which was not unexpected. The vocals sounded like they were recorded elsewhere like in a cavern, there is so much echo and reverberation added, but they still sounded yards deep throughout the entire track, while bass and drums are recorded to the foreground and form the underpinning of the track. Kick drum was solid and tangible almost, cymbals are represented by high hat beats which never vanished into the mix even when the band was playing at frenetic levels. The last one third of the track is comprised of the bass guitar in a 1 – 3 repetition, the high hat beat, clicking of fingers and simple vocals. Delightfully simple, but not exactly challenging either, so I suppose it is part of that track’s charm. Track 8 is another favourite on this album called “Just a Normal Day”. A slower pace perhaps, a touch on the melancholy side as well, but the track has piano, saxophone, violins and a haunting vocal that either touches your emotions or leaves you cold, depending on how well it all hangs together, which the Albedo cables mastered well. This was also evidenced in Fink’s “Wheels Beneath My Feet” live album, where each venue during one of the band’s many European tours has a unique atmosphere and acoustics at each location. The Albedo cables captured this phenomenon very well indeed with a notable lack of background noise for good measure. Bass had a powerful taut punch to it and especially so during the driving Floor Tom whacks the drummer inflicts on that instrument which fair made my listening room vibrate with the power delivered. Imaging abilities are also noteworthy, no doubt due also to that lack of background noise, with top class width, height and depth, the audience on this album being extremely well reproduced so it sounded like you were sitting around five rows away from the stage. 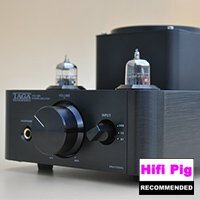 I apologise now for this review not being an endless parade of superlatives to describe the Albedo Monolith Reference cables. Having said that, I could find no fault either and that makes a rather refreshing change for a seasoned reviewer of cable confections. 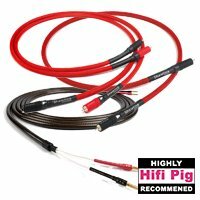 Most of the cables I have reviewed for Hifi Pig have had areas of strengths and weaknesses with a general set of compromises incorporated into the design, which we either live with or we don’t, arrived at under the guise of “synergy”, as in matching to the system and of course our own listening preferences. I would sum up their sonic characteristics as being neutral, that is there isn’t one area of the audible spectrum that is either recessed or overblown, all of that audible spectrum is dare I say, almost ruler flat in response but you shouldn’t interpret those words as these cables being boring or lacklustre, far from it in fact . On the contrary, they offer sparkle and dynamics, but in a rather grown up sophisticated kind of way, which I am sure will find many admirers, myself amongst them. Build Quality: The looks and build are above average, but that’s not the reason you would buy these cables. Sound Quality: I will give this rating in reverse: I couldn’t fault them in sound terms. 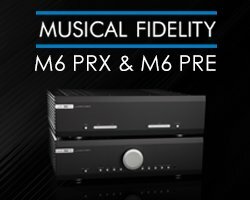 Value For Money: Very good bang for the buck product and you wouldn’t want to upgrade. Pros: The best thing about these cables is they live at the back of the rack and simply do the job they were bought for, with no fuss or fireworks. 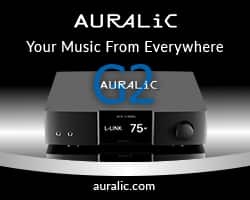 Cons: Sound, build, value, all good, but come resale time they are not fast sellers because of their unfamiliarity in the market – regrettably and hopefully this review addresses that in some small way.